VizArt Medical Center has a specialized ophthalmology office, which has the necessary equipment for the study of your child. Children are a priority of our world and you need to pay attention to them. Performing screening programs or so-called preventive examinations are of great importance to children. There may be a change in status at all times, and in most cases you do not know about it. Performing regular prophylactic examinations of children is essential for early detection of certain diseases and conditions associated with your child’s vision. 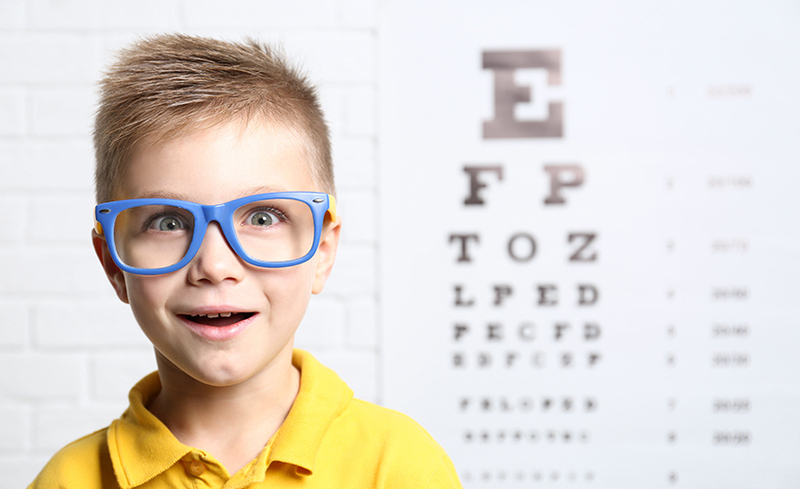 The most common conditions in children are refraction anomalies and squinting that have been discovered early or “in time” can be cured with the appropriate means. Left untreated or late discovered, in most cases lead to irreversible conditions such as squinting / constantly distorted eye / or “lazy eye,” which states leave the eye for life “blind”. – in the period after one year to 7-8 years. This period is the most risky for the development of refraction anomalies and peak squinting at a peak of 3-4 years. This is because children then start to use their eyes intensively in games. At this time, it is imperative to have a prophylactic examination every 6 months, because at any moment there may be a refraction anomaly or a so-called “condition” for the development of irreversible squinting or lazy eye. If the problem is detected early, the temporary condition is cured by appropriate treatment, otherwise the temporary condition of the eye becomes permanent and can not be healed at a later stage. – in the period after 7-8 years. In the schooling period, children need to be interviewed by parents about how they do at school and from there to judge whether there is a problem. One-year screening is required to monitor the visual function and especially the visual fatigue. General practitioners work in collaboration with us and are required to guide you and provide you with a mediocre stance for appropriate counseling.